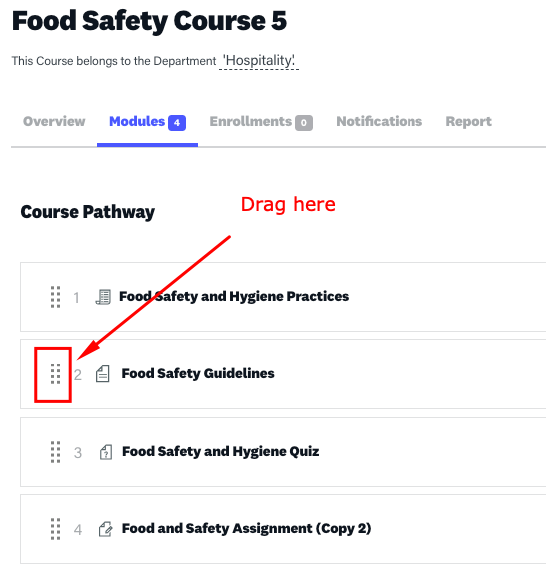 Use the drag handles on the left hand side of each module to change the order of a module by dragging either up or down the list. Changes are reflected immediately. There is no need to save.